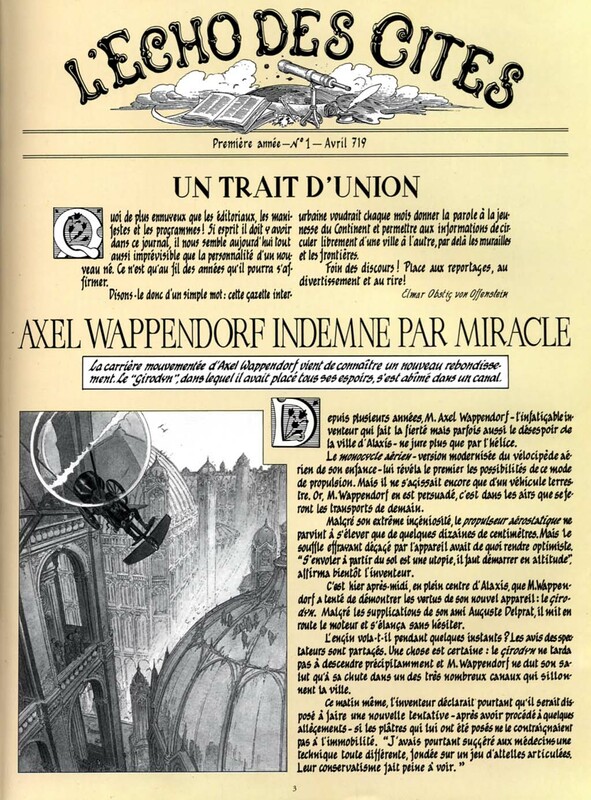 L'Echo des Cités [Echo of the Cities] is a major Obscure newspaper. The first issue was published in April 719 AT with an editorial by Elmar Obstig von Offenstein. The latter was replaced less than two years later by Stanislas Sainclair, originally an assistant draft editor. Sinclair remained at the head of the paper until it folded in 762 AT. L'Echo des Cités was first published only from Trahmer, the Echo soon became extremely popular and was eventually printed in five languages all over the Continent 1). While on the run after escaping the boarding school, Mary was almost caught when the newspaper run a story on her. Her father Klaus, eventually found her after Stanislas Sainclair ran a story on her in the Robertson Circus 2). We know little about Trahmer where L'Echo des Cités started. 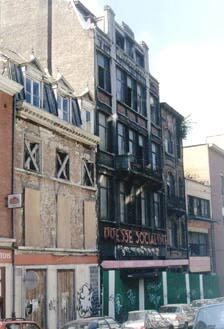 The mentioned address (117, allée d'Orsenna) resembles a lot to the building of the former Socialist Press across the street of Centre belge de la bande dessinée (CBBD). During the first Obscure Convention a possible passage has been found.